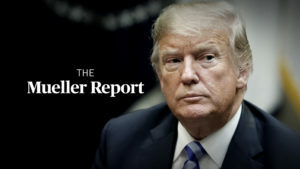 Republicans say the attorney general's four-page summary of the Mueller report exonerates President Trump on obstruction of justice. Democrats counter that William Barr’s analysis is not sufficient to answer that question. Judy Woodruff talks to Neal Katyal, former acting solicitor general under President Obama, and Paul McNulty, former deputy attorney general under the first President Bush. From Russia, let's turn back to what we know of the Mueller report and look at a number of legal questions the attorney general's letter has sparked with Neal Katyal. He was acting U.S. solicitor general in the Obama administration. 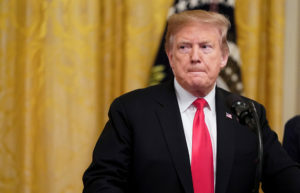 And Paul McNulty, he served as deputy attorney general in the George W. Bush administration and before that served as spokesperson for Attorney General William Barr in his first time in the job during the first Bush administration. We thank you both for being with us. I want to ask you first, based on what we know, both sides are drawing their own conclusions about this very brief summary from the attorney general of the Mueller report. What do you make of this, Neal Katyal? Well, I think it's — you're right. It's a brief summary, but it's a very troubling summary. I think the most important thing — and this is what I wrote about in today's New York Times — is Barr's conclusion about obstruction of justice. Remember, Mueller spent 22 months investigating this. He didn't reach a conclusion. He laid out in his report the evidence from both sides, presumably for Congress to evaluate. And then the attorney general goes in and swoops in, within 48 hours, and says, oh, I decided there's no obstruction of justice here, there's not enough evidence, and maybe they're — maybe hearkening back to his 19-page memo from the summer last year. Who knows. But this raises far more questions than it answers. And it just underscores why we all really need to see the Mueller report. Paul McNulty, let's then start with the question of obstruction of justice. But let me ask you first, what about this notion that Robert Mueller spent two years on this and concluded he could not draw a conclusion, he couldn't come to a recommendation on obstruction of justice? What to you make of that? Well, I think what Bob was doing there was pointing to the fact that a prosecutorial decision needed to be made. 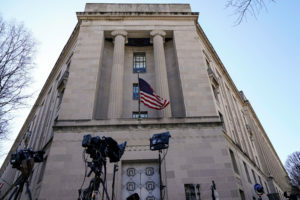 Apparently, he made arguments in his report for both sides of a decision, but recognized that the decision by the Department of Justice is one that it's made with the consultation with the deputy attorney general, the attorney general and other officials. And so he deferred them to make that prosecutorial decision. That's why I think it goes well beyond any view that the attorney general has with regard to obstruction of justice and goes to the question, most importantly, of proof beyond a reasonable doubt, and whether or not the evidence and the law was going to meet the standard that DOJ has that a reasonable juror would find beyond a reasonable doubt that obstruction of justice occurred. And you're saying, because — that the attorney general was comfortable saying that, based on what Robert Mueller had said? And I actually disagree with Neal's point earlier about the swooping in factor, because, in the letter, it says that the special counsel was in consultation with DOJ officials for quite some time about legal theory and facts associated with obstruction of justice. So Attorney General Barr probably had the benefit of OLC, the Office of Legal Counsel, Criminal Division lawyers, who are career prosecutors, Rod Rosenstein, who has been involved in this all along, and probably had a considerable amount of thoughts to bring to the issue. And all of that together, they said that, if you look at this summary of law and evidence — and this is the chief law enforcement officer. This just doesn't meet the standard. That's why I think they came to that conclusion. Neal Katyal, you have been shaking your head. Yes, I couldn't disagree more with my friend Paul. 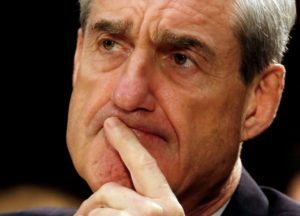 So, he's right to say that Mueller laid out both sides of the evidence. That's what we know from the Barr letter. But it's absolutely wrong to say that Mueller invited Barr or the Justice Department to reach their own determination. That is nowhere in the letter. Maybe it's in the report. I don't know. But I certainly don't know that. I don't know how he could know that. 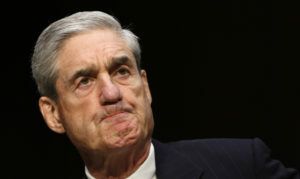 And, now, there have been leaks from the Justice Department that have said, oh, well, Mueller had given a three-week heads-up to Attorney General Barr that he wasn't going to reach a conclusion. And, again, that's nice and maybe allows for some legal debate within the Office of Legal Counsel. But, remember, Barr's letter yesterday said there wasn't evidence that there was a corrupt intent, a corrupt motive on the part of Trump. And, as far as I know, he only had two days since the Barr report — the Mueller report came in for him to reach that determination. That's a striking thing to do. Two days, reached it, after 22 months? And just a quick response, Mr. McNulty. Well, Neal, I just want to ask — maybe you and I are reading this letter or why we disagree on this point. Doesn't it clearly say that the special counsel deferred to the attorney general, to the Department of Justice for this determination? That's all I was trying to say earlier. Again, I don't think that's quite what it says. I think Barr is characterizing — we don't know whether Mueller thought Congress would be the right decider here or the attorney general. It's just not in that letter at all. Well, let's — we're not going to resolve that right here, but the two of you have clearly taken a look at it. But let's turn to the finding that there was no conspiracy, no coordination with the Russians. Neal Katyal, that seems like a pretty straightforward conclusion that the special counsel drew, at least according to the summary. So, you know, I think that there's been a lot — it's almost like the Bible or something. People are reading stuff in that's not in there. I mean, you just heard Kellyanne Conway just say to you that it — the report shows that — quote — "the president didn't try to interfere with the investigation," which, of course, is nowhere in the four-page letter. And, yes, there is a conclusion about collusion. But, again, that's a criminal standard that Mueller was applying. And that's why, again, the report needs to come out, because there may be evidence short of that very high standard, beyond a reasonable doubt, that the American public needs to see. You know, if there was no collusion, either criminal or civil or, you know, a layperson's view, I think all of us should celebrate that and feel very, very pleased that Mueller reached that determination. It's just that I don't think, based on the four-page letter, that we can jump to that conclusion yet. 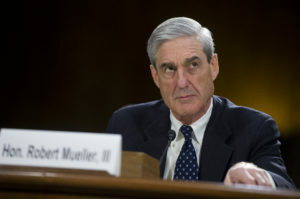 Paul McNulty, how much of the Mueller report does the public need to see, deserve to see in order to answer these very tough questions? Well, Judy, need and deserve, those are both good words, and I would say that there is definitely a case to be made for that, and, certainly, the interest level is sky-high. One of the really challenging issues here, however, is this reference to grand jury material that is going to have to be resolved. Apparently, the report has a significant amount of information that was obtained through the use of the grand jury. And then that raises the question, because there are clear rules about grand jury investigation, how that's going to be resolved, so that the report can be released. That's going to be the big issue in the next several days. A very short final question to both of you. And I will start with you, Neal Katyal. How much vulnerability does the president — still exists for the president, given these other investigations still under way in New York, in Virginia, and elsewhere? I think I have been saying for more than a year that the Southern District investigation poses a far greater threat to Donald Trump, because that's one in which he has been named, Individual No. 1, as orchestrating the commission of two federal felonies. 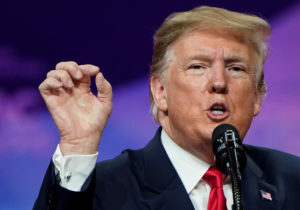 That is something that has almost never happened in the course of American history, to have federal prosecutors finger a sitting president of the United States as part of a conspiracy to evade federal law. That's a pretty striking thing. And so whatever happens with Mueller, this investigation is still going on. And, Paul McNulty, how do you read the president's vulnerability in these other investigations? Well, I think Neal does identify some uncertainties about cases that have been spun off from this. And we will have to see where they go. So, it's clear that there are other issues out there. 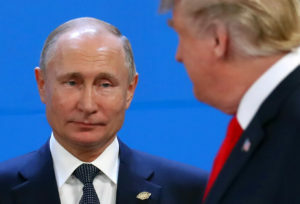 I think the attention has been focused on the collusion question, and that's going to, probably in the minds of voters, be a very significant factor that the — we're turning the page on that, generally speaking, even though Congress is going to have a lot to say about that. But time will tell as to what else will emerge from those ancillary matters. Paul McNulty, Neal Katyal, we thank you both. And, to all of you, please join us later this evening. The "NewsHour" is teaming up with "Frontline" for a prime-time special on PBS on what we have we have learned so far in the special counsel's investigation.